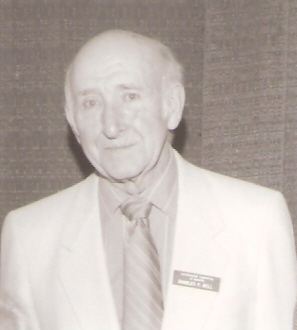 Charles P. Bell of Columbia, Missouri was a dedicated volunteer conservationist. His father taught him to hunt and fish at a very early age and he developed a passion for the outdoors that never waned. He worked all his life to insure that future generations could share his wonderment of the natural world. He became an avid trout fisherman. After retiring from the post office he obtained his real estate broker’s license and opened a realty company. Mostly, he gave his time and financial resources for the betterment of Missouri’s conservation programs. For 17 years he served as the treasurer for the Conservation Federation of Missouri and also as a Trustee and Treasurer for the Conservation Foundation of Missouri Charitable Trust. He served as President of the Conservation Federation from 1988 to 1989. Following his death in 1989, hfamily established a conservation education grant and scholarship program in his memory. The money available annually from the Foundation is matched by the Conservation Federation of Missouri. The Charles P. Bell Conservation Scholarships now include one graduate scholarship ($600), one undergraduate scholarship ($500), and six conservation education grants for elementary, high school or youth group programs ($250 each). In the latter category, adult leaders who work with the Boy or Girl Scouts, 4-H, environmental clubs, etc. are eligible and encouraged to apply. The application deadline is January 31 each year. Graduate applicants must be enrolled in a field of study related to conservation, natural science or earth resources at an accredited college or university. Undergraduate applicants must have at least 60 credit hours and must be enrolled in an area related to conservation. Preference will be given to applicants enrolled in Missouri schools. To apply please complete the appropriate online application from the link below. You may also submit your application by mail using the PDF application to the right.